When I first saw the wedge sneaker, I was intrigued. After extensive online browsing, I manage to understand what this is all about. Well, this are words of a friend of mine, talking about wedge sneakers. 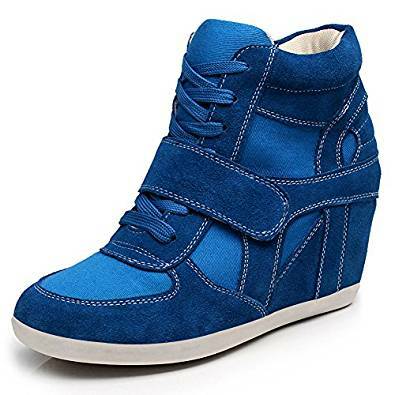 Wedge sneakers are truly amazing piece but first you should understand them completely. I should also note that this type of sneaker, like any other wedge shoe, looks best on women with petite and/or slender figures. Wedge sneakers look great on women with these body types because the shoe’s bulk balances their frame. Women with curves and fuller figures (like myself) should stay away from bulky shoes like these because they end up making you look bigger by creating the impression of a disproportionately heavy lower-half (an unfortunate but true fact). 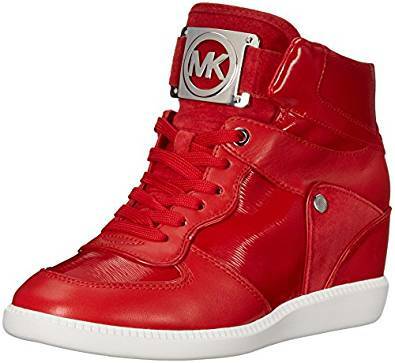 The exception to this is wedge sneakers that are more streamlined and on the dressier side with a higher heel, like the Michael Kors ones I got for myself. These look more like booties than sneakers and aren’t as bulky as their casual counterparts. In general, wedge sneakers are very casual, just like regular sneakers. You can dress them up a little bit but not much, so save them for casual wear and don’t wear them anywhere upscale or formal. You can consider them as a “nicer” version of your basic sneaker, but don’t count them as being on par with regular high heels and pumps. As I mentioned earlier, they look best with pants that are skinny/fitted and hit you right at the ankle. For a top, I suggest one that’s either simple, tough, edgy, or hip, but not fancy. Over that you can wear a fitted blazer, vest, loose cardigan, or jean jacket.